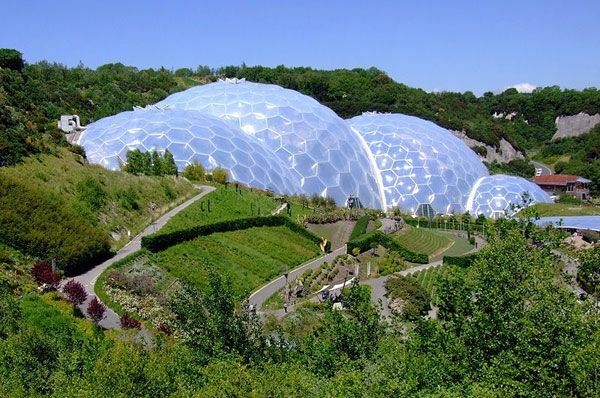 Is The Eden Project the Birth of a New Beginning? 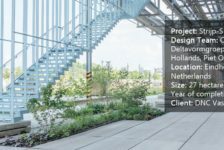 Early Vision of the Project The main idea of the project was to create a place where cultivated plants from all over the world could be displayed. 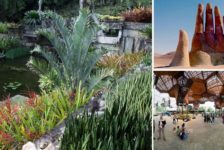 Tim Smit, an archeologist who wanted to create something to amaze future generations, came up with the idea of filling the 60-meter-deep pits with new life. It took six years to bring the project to fruition. 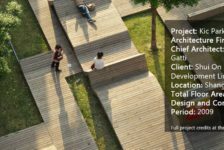 Eden: Heaven on Earth The very name of the project speaks of a kind of paradise on Earth. At the entrance, a winding road leads to the domes, around which are planted numerous plant species, as well as sculptures and robots made from old equipment. 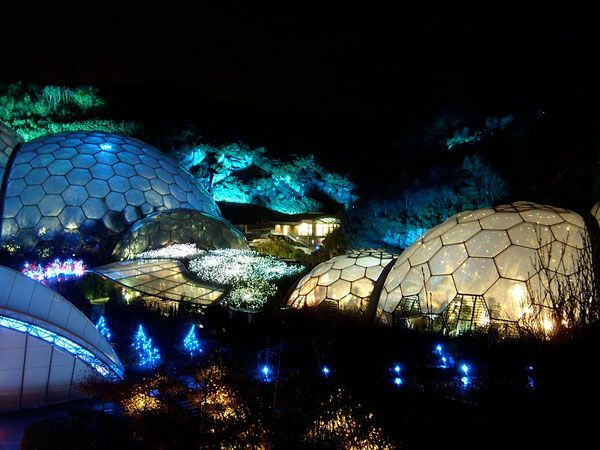 The iconic bio-domes of the Eden Project, Cornwall, England. Photo credit: originally posted to Flickr as The Biomes. 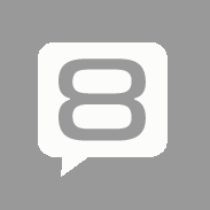 Author – Jon. Licensed under CC-SA 2.0. Image source. 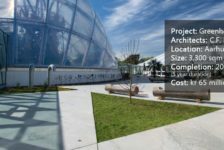 Each Dome Imitates a Biome The complex arrangement consists of a large “cover” that accommodates a variety of plant species. Each dome imitates a biome — a special group of plants. The domes are constructed from pentagonal and hexagonal “inflated” plastic cells (layers of foil), which are attached to steel structures. They cover 2.2 hectares, and their design was based on the hexagon – nature’s most efficient building block, which provides maximum strength with minimum materials. Inside the Humid Tropics Biome at the Eden Project, Cornwall. Photo credit: Author – Stevekeiretsu. Licensed under CC-SA 1.0. Image source. Nicolas Grimshaw: Iron Structural Meshes of Eden Project, Saint Austell (Cornwall). Photo credit: Piergiorgio Rossi. Licensed under Public Domain. Image source. Explore, enjoy, and learn about the plants of Eden on this link. Sustainable Facts About Eden Before the opening of Eden, 83,000 tons of soil was created by using mixed waste to create a site sustainable for all the plants. In addition, all kitchen waste from the cafes and restaurants is also used as compost for the gardens. The Eden Project. This is a view from the entrance building, looking towards the humid biomes and the section connecting the humid and the other biomes. Photo credit: Pam Brophy. Licensed under CC-SA 2.0. Image source. The whole philosophy of Eden is based on the preservation of the environment and recycling. 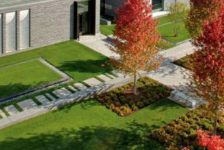 Everything — from all the boxes for the purchase and delivery of plants to the design of equipment — has the characteristics of reuse. Even the food that is eaten has been specially selected with sustainability in mind. Harvesting Water for Sustainability The other important sustainable fact is water harvest. 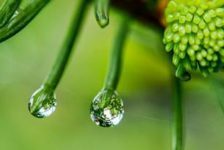 Water is essential for maintaining humidity in every biome and rainwater is collected at the bottom, thanks to an underground drainage system. About two-thirds of the water used in Eden comes from water collected on site. Designing with Nature Architectural constructions are strictly made from recycled materials and lower-carbon products. The goal is to try to keep the environmental impact of the buildings very low. One of the most important is The Core, which was built in accordance with the natural architecture – biomimicry. It is in the form of a sunflower. It was built in March 2003 and serves as an educational center with classrooms. The Core Structure The Core structure is based on Fibonacci numbers — the pattern found in all natural forms, such as pinecones, sunflower heads, and snail shells. On the roof are solar panels that collect solar energy. The main building material is timber. Inside The Core, there are many things to see, including the giant nutcracker, the seed, areas for playing, and video projections of how Eden was built. 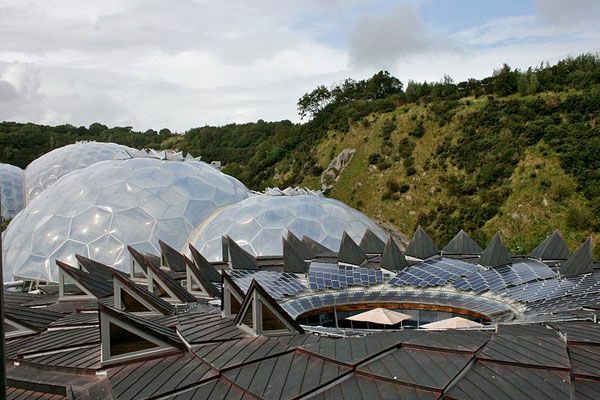 The Eden Project; foreground is the roof of The Core. Photo credit: Photograph by Mike Peel (www.mikepeel.net). Licensed under CC-SA 4.0. Image source. 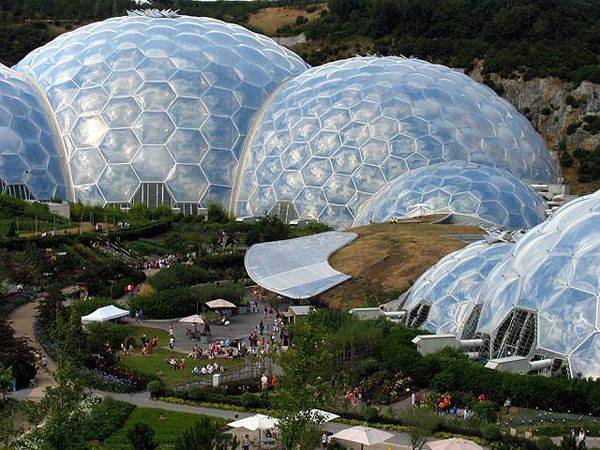 What does the Eden Project stand for? Perhaps there are not enough words to describe the Eden project and its majesty. 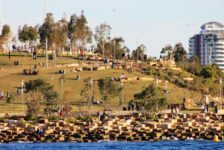 The entire area tells us the story of the importance of nature and plants, but above all gives us a chance to get involved with all of the activities. 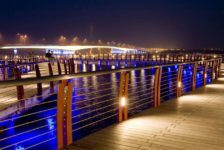 It is a multipurpose space: a tourist attraction with many sustainable messages. It talks about diversity, human connection, education, and sustainable lifestyles. The transformation of all devastated areas should look like this. Can we achieve that? Oh, yes indeed! Eden Project Winter 2008 showing Bruce Munro field of Light. Photo credit: Author – Mark Vallins. Licensed under CC-SA 3.0. Image source. 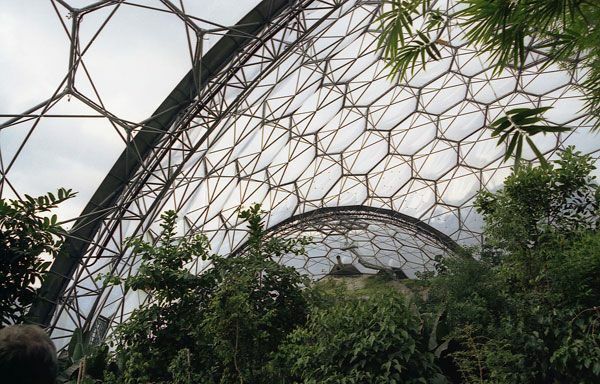 The Rainforest Biome is the largest indoor rainforest in the world, with more than 1,000 varieties of plants. It takes 1.5 hours to see everything. The huge model of a bee in the Outdoor Gardens stands there as a reminder of how important pollinating insects (such as bees) are to flowers – and to humans. Tim Shaw’s sculptures amid the grapevines in the Mediterranean Biome depict the myth of Dionysus, Greek god of the vines. The WEEE Man by Paul Bonomini is a 3.3-ton structure that represents the amount of waste generated by electricity and electronic equipment. The Outdoor Gardens cover more than 20 acres, with more than 3,000 varieties of plants. It takes two hours to see most of the gardens. The Eve sculpture is a living sculpture made mostly of clay from Eden itself. The world’s biggest, smelliest flower (Titan arum) is in the Rainforest Biome. 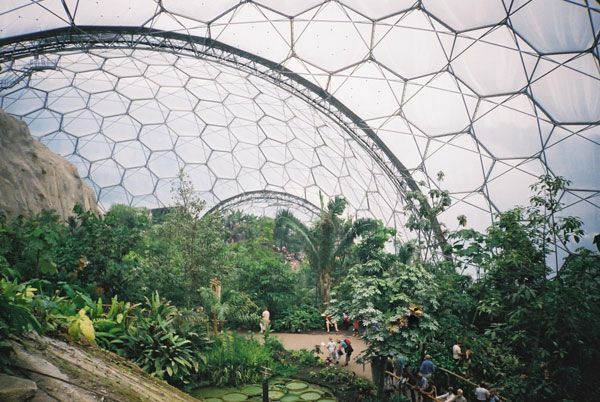 In September 2009, Eden opened a wedding venue in the Rainforest Biome. In August 2009, Sir David Attenborough filmed a wildlife documentary – “Flying monsters 3D” – in Eden. 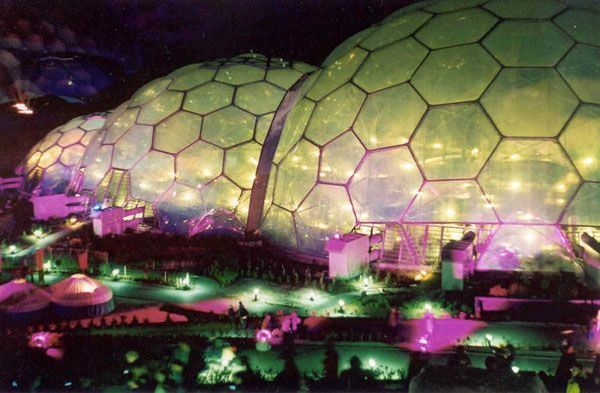 “The Eden Project, at Night. At first glance you might think that you are looking at something out of “The Quatermass Experiment,” but in fact these are the Biomes at the Eden Project taken late at night after my wife and myself had been to the Last Night of the Proms Concert which was linked up to the Royal Albert Hall in London“. Photo and text credit: Neil Kennedy. Licensed under CC-SA 2.0. Image source. Featured image: Eden Project Winter 2008 showing Bruce Munro field of Light. Photo credit: Author – Mark Vallins. Licensed under CC-SA 3.0. Image source.